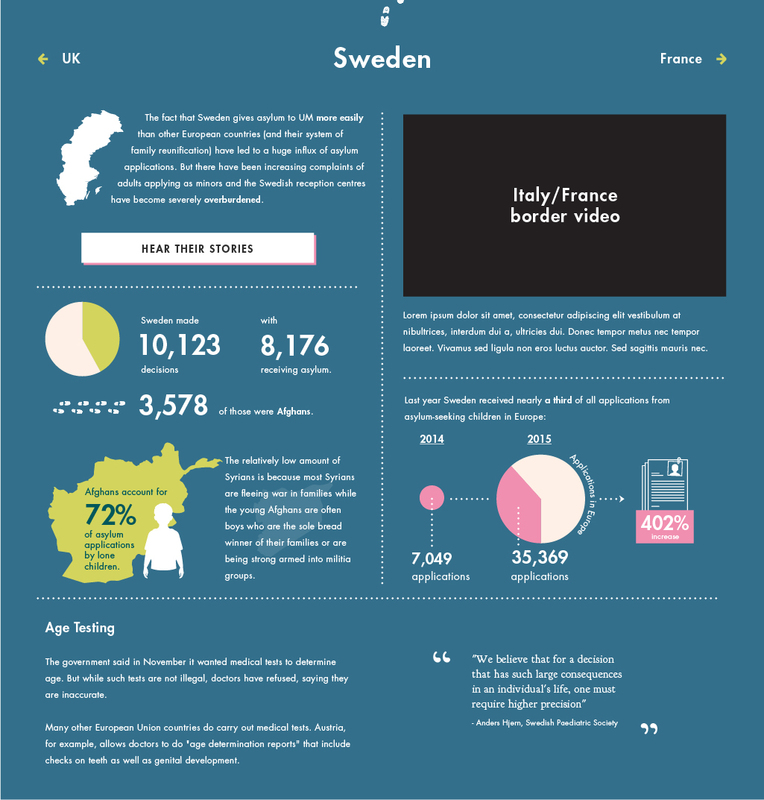 Responsive infographic website designed and developed for The Bureau of Investigative Journalism. 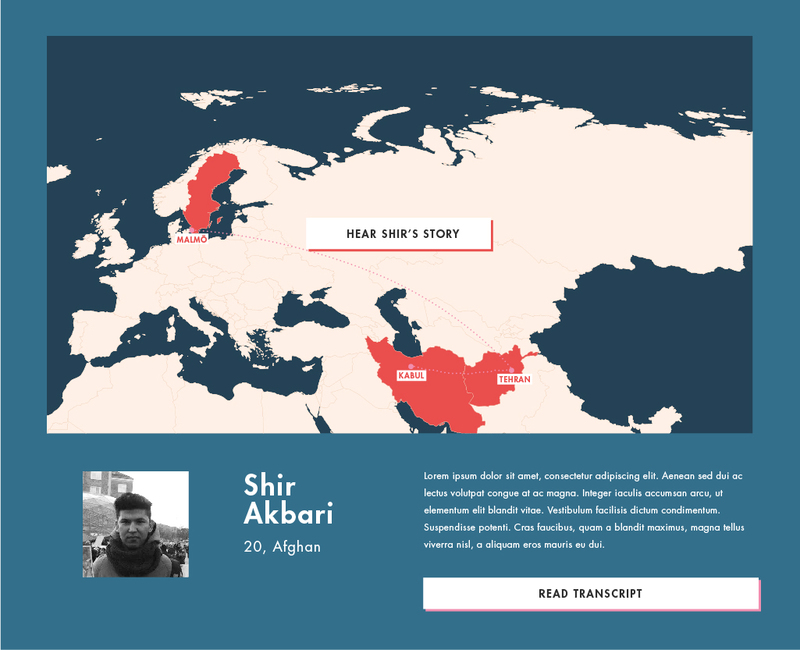 Having collected audio, visual and written data of first-hand accounts from newly arrived refugees in Europe on their personal stories of travelling to and arrival in Europe, the Bureau contacted me with the brief of finding a way of using the data in all its complexity in an interactive way, focusing on the narratives of the interviewees. 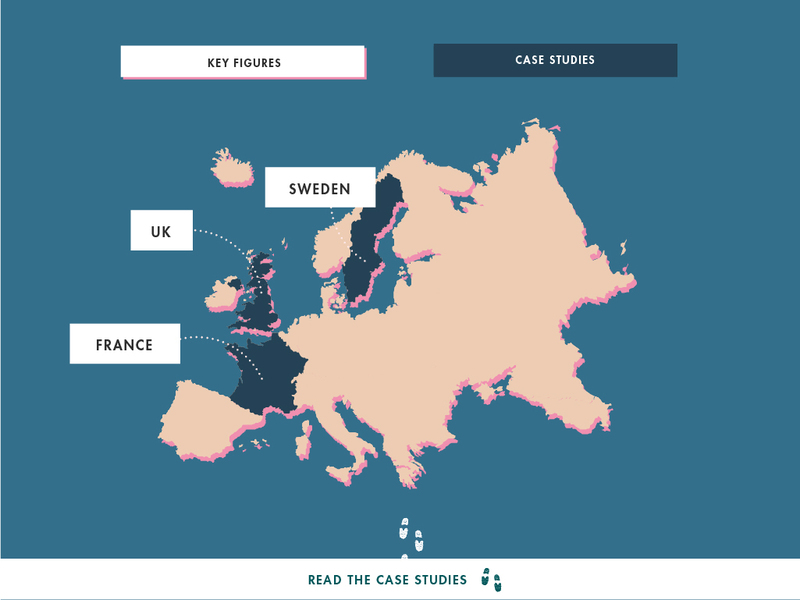 To do this, we decided to combine specific individual accounts – presented as motion graphics based on recorded interviews – with case studies from each of the European countries that they arrived in – presented as separate infographics. 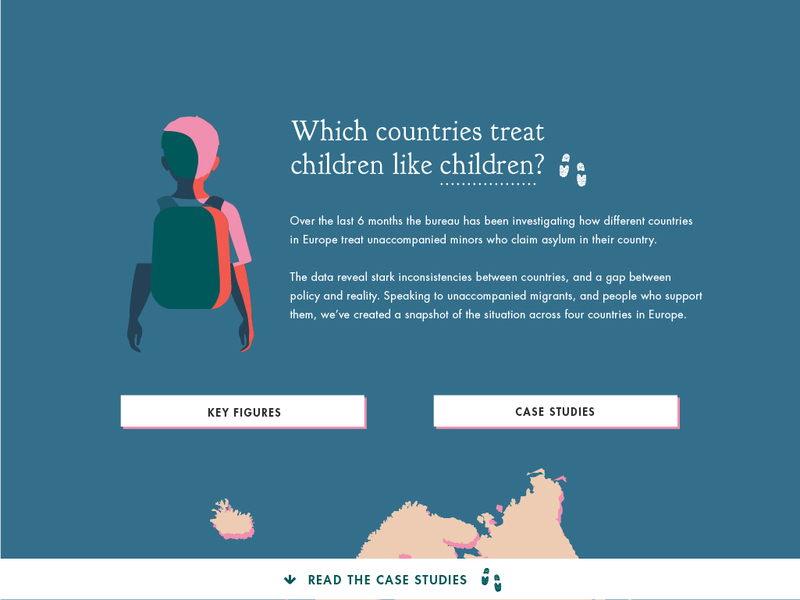 The goal of the project was to highlight the amount and frequency of unaccompanied minor refugees arriving in Europe as well as discrepancies in policy between different European countries – from high refusal rates and outright blockages to bureaucracy that hinders or undermines the free movement, education, or ability to work of people even where European law is enforced. 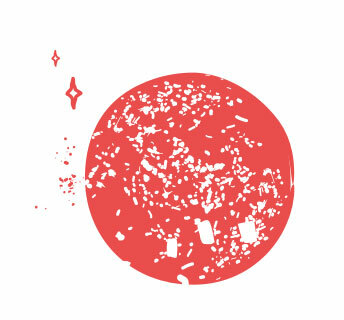 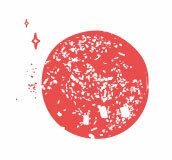 Design, motion graphics, illustration, infographics by Eilidh Urquhart. 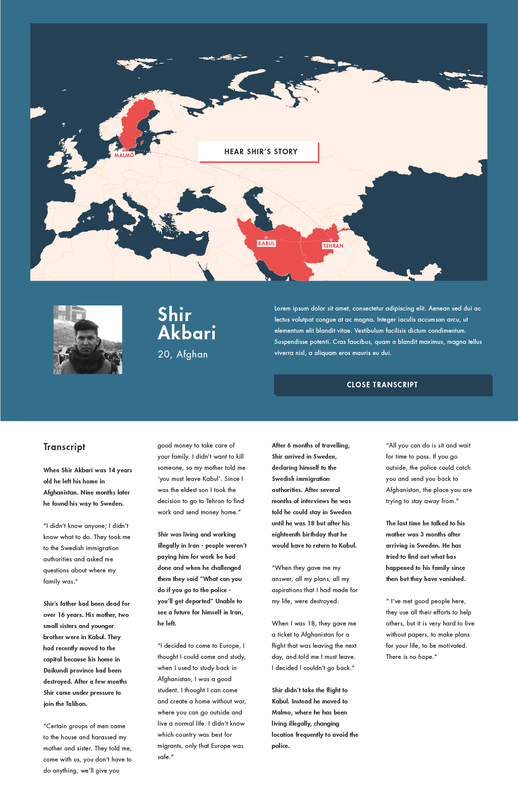 Development by Eilidh Urquhart and Khaled Shaaban.